Just like everyone else this time of year, we are keeping busy. 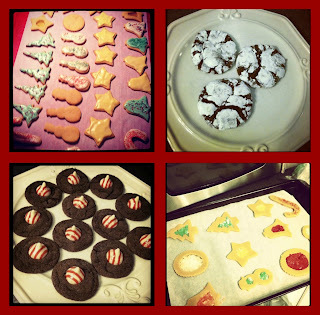 Lots of baking and visiting! 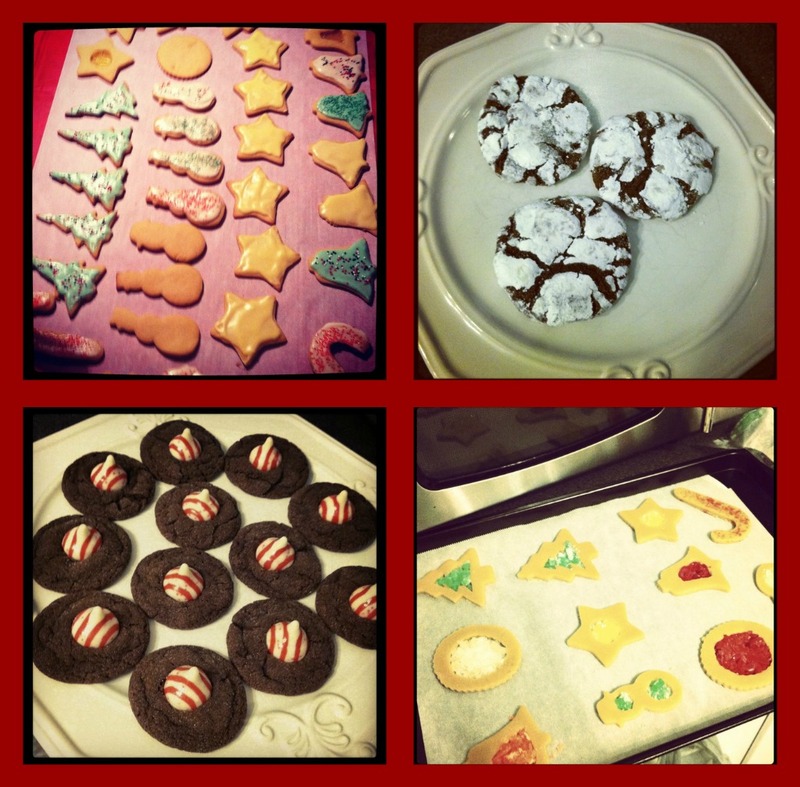 (We) I've made cut-outs, chocolate crinkles, cocoa peppermint kisses, and stained glass cut-outs. Not to mention the toffee in the fridge setting right now and the chocolate cake with peppermint filling that I didn't photograph. The kids had a blast, lots of sugar! The last few weeks have been busy and they are only going to get busier. I hope to be able to blog over the next two weeks but we will be traveling a lot. I'll be back around after the winter break (1/7). So, if I don't see you before, Merry Christmas & have a Happy (and safe) New Year.